Traveling on Road-Trips with Baby and Family! 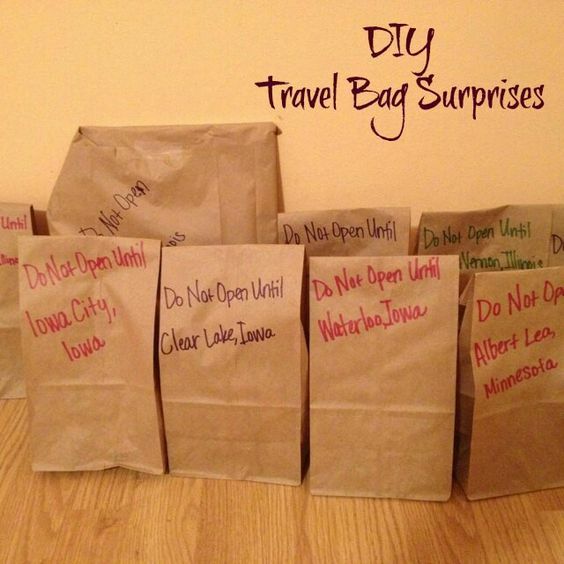 With the holidays here, lots of people are getting ready to travel!! I was always pretty proud of myself for keeping my bags to a minimum, but that was definitely BEFORE Baby! This thanksgiving I have 5 total bags JUST for Baby and myself!!! For myself, I normally thought, eh I’ll get by if I forgot something, with baby, nope, you prepare for the end of the world and everything in between!! Babies don’t understand “just getting by”!! I’ve made a little list of items I had to make sure I didn’t forget!!! && a few little tips to make road trips with baby more enjoyable for the whole family!!! Meds, thermometer, etc- Don’t forget some Tylenol, gripe water, anything you may use at home often! Especially if you are traveling to a different climate, you don’t know how baby’s allergies or something will act up! Snacks- Penelope’s favorite snacks are Graham Crackers and Fruit Snacks right now && we love our SkipHop Snack Holder!! 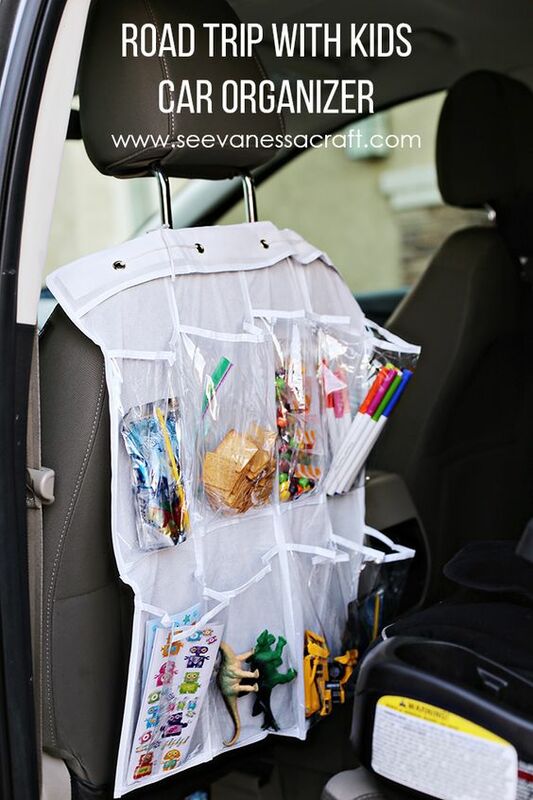 She can easily reach in and grab snacks, gives her something to do and there’s a lid over the rubber catchers so she can’t spill them or crumbs fall all over the car!! Diapers, wipes, formula, bottles, sippy cups, baby food, etc – Durr!! Have a little baby?? We got a turkey && corn baby food by Plum for Penelope for Thanksgiving last year! Lol I think I was the only one excited about this!! She could eat Thanksgiving Turkey with us!! Don’t forget to find the little things in making this all fun!! THIS year though she’ll be able to have Thanksgiving meal with us!!! I make sure to pack things in case little one gets hungry in between meals! && Pack food for the road! You don’t want to have to stop any additional times than you already do!!! Extras- Depending where you are traveling too, if it’s cold, bring mittens && beanies! Bring items they use at home! Make them feel comfortable! Such as their bouncer! As much as family is going to want to play pass the Baby, she’ll want to be put down and play herself! We also brought her Boppy booster seat so we can hook it onto a chair at the dinner table so she can sit with us and we don’t have to mess with bringing the bigger high chair! We are also taking her DockATot!! Girl can sleep anywhereeeee we go with that thing!!! Toys- Bring toys they can play with in the car and once you get there! It may get annoying after awhile but bring toys that stimulate baby’s senses, noise, lights, all of the fun stuff! 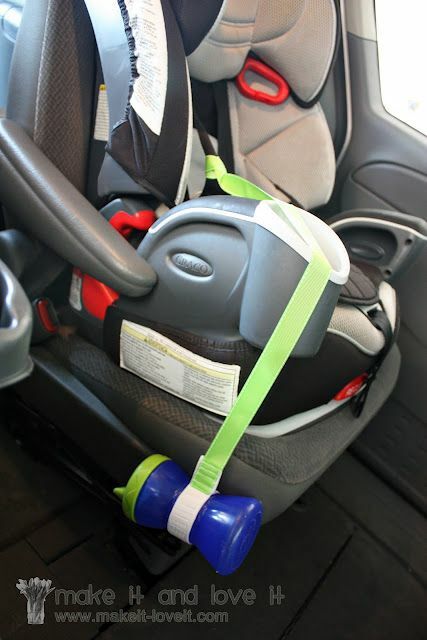 They will get bored in their car seat and fussy and makes the trip seem a million times longer! They aren’t entertained just staring out the window and if they are still in the car seat, they can’t even see out the window, just the roof of the car the whole time! Don’t worry, they won’t play with them the whole time! I also had to make sure I had Penelope’s Wubbanub! That keeps them quiet too! 😜 We brought tethers for baby! For the older ones, I gave in and am downloading movies on her Amazon Tablet, Nursery Rhythm videos, learning games, and books!! Movies help entertain for about 2 hours!! We got her a few little sticker books! Keep her mind and fingers busy! Let her place stickers all over a hard cover books/hard surface sheet! Play games- While we are on the topic of entertaining…Play games such as license plate bingo! Bring some paper and pencils for the older kids!! Make bingo boards, let them pick the different state plates they think they will find and then at the same time everyone starts and call out and mark off the state license plates they find and see who gets bingo first! They can also play hangman, tic tac toe && anything else they can think of or just color!! Have everyone find the letters of the alphabet in order on signs and billboards on the side of the road too! Bring a cookie sheet to use as a hard surface to color on and it fits under the seat without taking up more room! We got P this Chalk Full of Designs bag too! Sheets of Chalk Board with designs on them to trace and work on the alphabet and other topics and a blank one to just color on!! Even comes with a chalk pen!! Download your favorite music!! Have a karaoke/dance party in the car!!! && our new favorite thing is podcasts!! Switch back and forth, it helps break up the trip &&& distracts you from the long drive! We also love listening to comedians!! A good laugh helps make the drive go faster!! My Road Trip Book this year is Nicholas Spark’s new book: Every Breath!! Get a copy of it HERE!!! Traveling while it’s dark? Bring a few glow sticks for the kids to play with!! If your driver can go without being too distracted in the backseat!! When you do stop, make sure to let the littles run around as much as possible! Stand on the side walk and have them jump up and down, twist, shake out their arms and legs!!! Make it a little game if you need!! Work out some of that built up energy! I saw on Pinterest this mom got clothes pins and put each of the kids names on them and stuck them on her visor. If a kid got rowdy and misbehaved their clothes pin would be taken down and they didn’t get to pick out a treat at the next stop! I thought this was absolutely genius!! Here are some more fun ideas I’ve seen on Pinterest!! A Sippy Cup Leash when littles decide to throw their cups and they ALWAYS do, without fail!! Check out our Pinterest Travel board for evennnnn more travel ideas and tips!!! What are some of the items you CAN’T forget at home? Some of yalls favorite car games? Or how you get through a road trip with the family? I’d love to hear! !